Later in the video, which was sent to reporters by the Republican research group America Rising, Reid said, "One problem that I’ve had today is keeping my Wongs straight." Reid issued an apology for his remarks on Friday, releasing a statement that said, "My comments were in extremely poor taste and I apologize. Sometimes I say the wrong thing." Back in 2010, Reid and his campaign pounced on a racially insensitive remarks that Sharon Angle, his Republican opponent, made about Asians. Angle told a room full of Hispanic school children that "some of you look a little more Asian to me." The comment, which came in response to a student who asked Angle why all her commercials portrayed illegal immigrants as Latino, helped to define the race and Angle's dismal campaign. At events after Angle’s remark, Reid joked about the remarks while painting Angle as out of touch, undisciplined and extreme. "As I look out over this crowd, I really don't know what my opponent was talking about," Reid told an audience. "Because you all look like Nevadans to me." 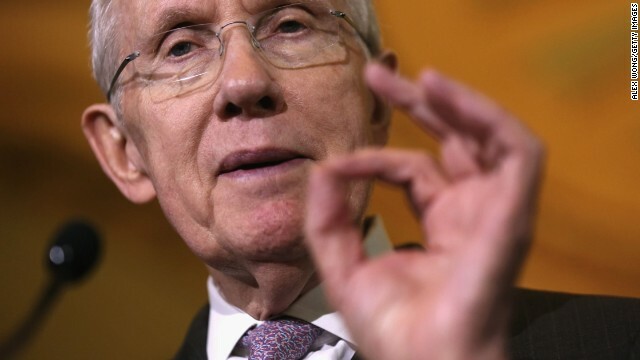 Reid went on to defeat Angle in the November general election and maintain his perch atop the Senate. The Asian community in Nevada has been rapidly growing and is expanding its political clout in the swing state. Almost as good as Biden saying .... "You cannot go to a 7-11 or a Dunkin' Donuts unless you have a slight Indian accent"